For your security, there is a keypad on the doors of the church that requires a keycode in order to open. You will need this code if you plan on going to adoration after 4 PM. 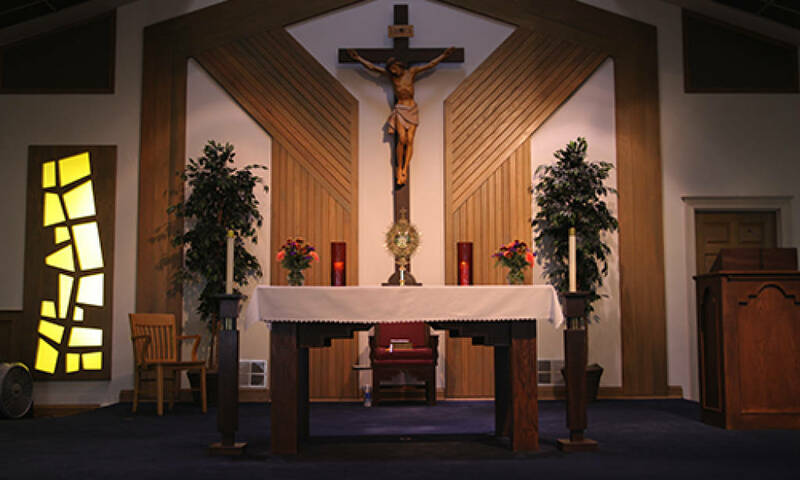 If you are assigned to open and/or close adoration, you too will need the keycode as well as instructions for setting up adoration and/or taking it down. Please contact Mary Colburn for the keycode and the opening/closing instructions. We hope that you will come and spend some time with our Eucharistic Lord. Please pray for us as we work towards a more unceasing worship and adoration of Him.